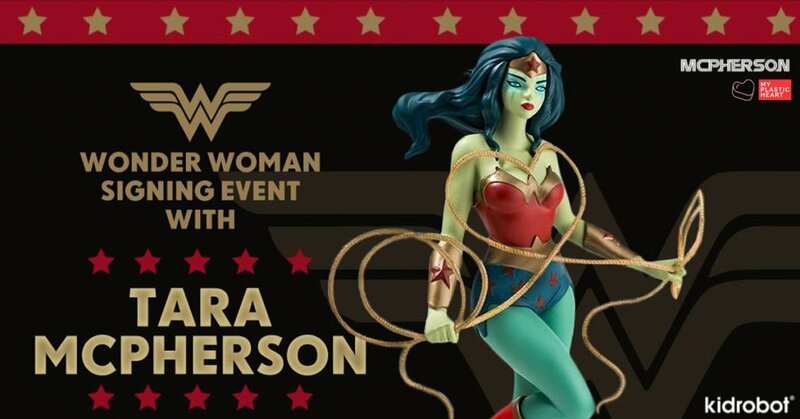 Clear your schedule, cancel your date as Myplasticheart has announced “Wonder Woman Signing Event” with Tara McPherson! These are the times what TTC wish we lived closer. We are having a special signing event with Tara McPherson this Saturday Nov 18th from 2-4pm for the release of her new Wonder Woman figure created with Kidrobot. Bring your figures to get signed or purchase one of your own at the event. Hope to see you there!